Hey everyone! 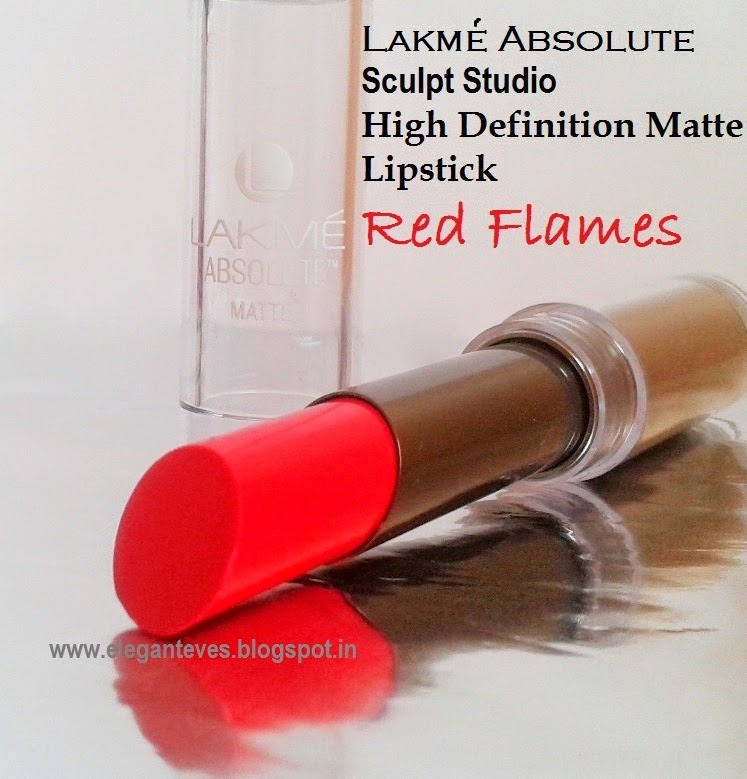 The Studio Sculpt high definition range of matte lipsticks is one of the recent launches by Lakme and the beauty world is going gaga over it! And why should it not be? 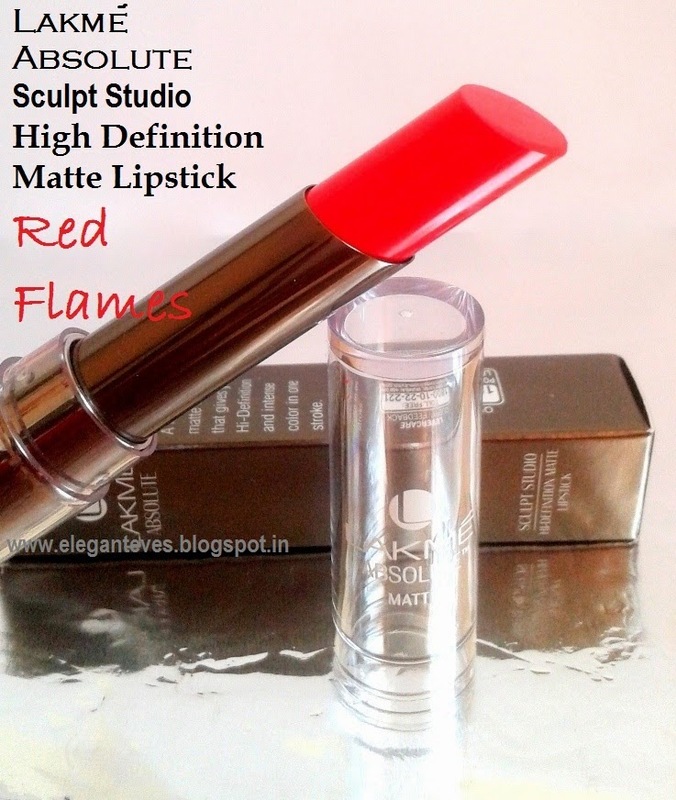 Any high end lipstick with a great quality is priced at above 1k these days and these beauties are priced at almost half of that ;) There are 15 shades in total in this range and I shall be reviewing Red Flames which I won in a Twitter contest held by the company. 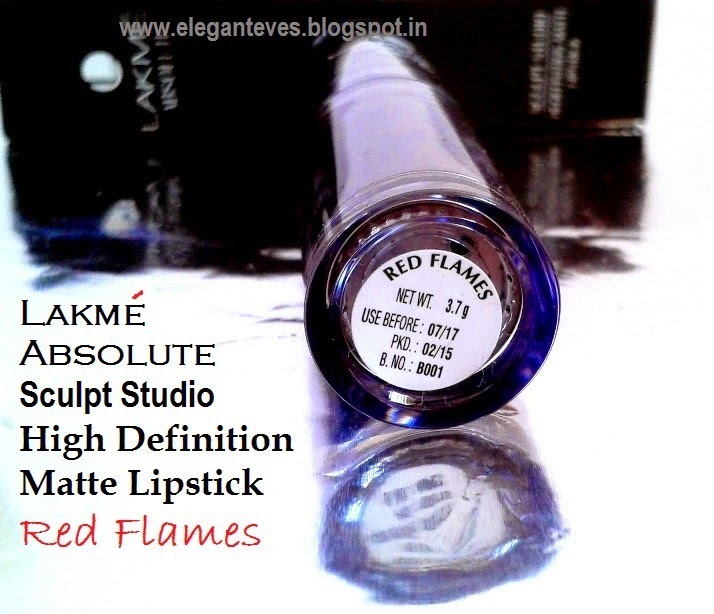 My two cents on the lipstick: I “absolutely” love Lakme Absolute range’s packaging. The steel-grey packaging screams class and the transparent cap of the lipstick allow you to see the shade without opening the cap. The cap also shuts with a click lock and there is no chance of it coming off in purse. 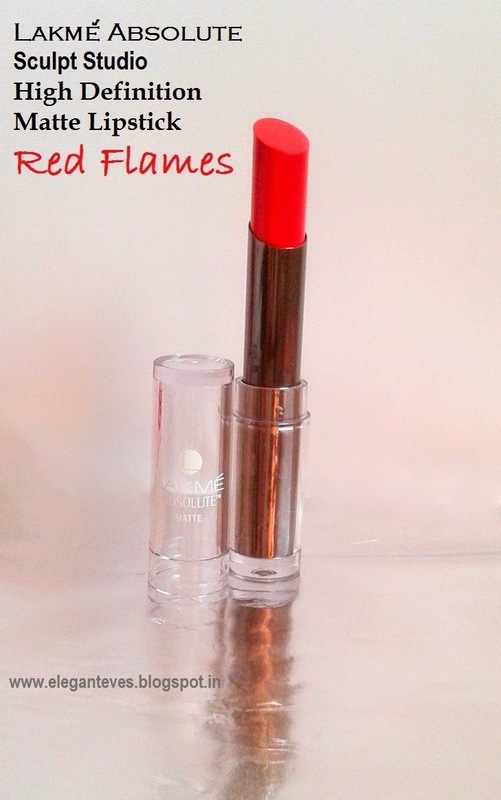 The shade RED FLAMES is a true warm red which instantly brightens your face. It is the kind of red which will suit every complexion. There are no blue or pink undertones in this shade and if you are a fan of fire-engine reds and want one which is wearable, then this is for you! The texture, I feel, is more semi-matte than total matte. It is not as matte or dry that it will tug at your lips while applying. Instead, the lipstick just glides on lips like a dream. The pigmentation is full-blown and it settles to a satiny matte effect. If you are a total-matte lover, then steer clear of this one! The lipstick does transfer to cups and glasses but even then on me it stayed for a good 5-6 hours. It would definitely require touch-ups if you have full meals in between. But unlike total mattes (Read MAC Ruby Woo! ), this one is a winner for touch-ups due to its smooth application factor. Below are swatches taken in direct sunlight and in shade. The thinner ones are single swipe and the thicker ones are multiple swipes. In a nutshell, I am completely blown away by this beauty! :D I will definitely get more from this range. One personal disappointment is the flat shaped tip: for ultra thin lips like mine, I find the good old petal-shaped tip comfortable! This is how it looks on my lips. I have applied only a single coat of the color. Double swipes would make it more opaque. 1. 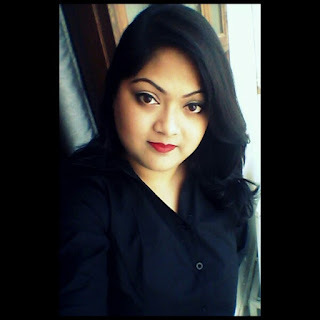 Super Detailed Comparison of MAC Ruby Woo and Lakme Red Coat ! !